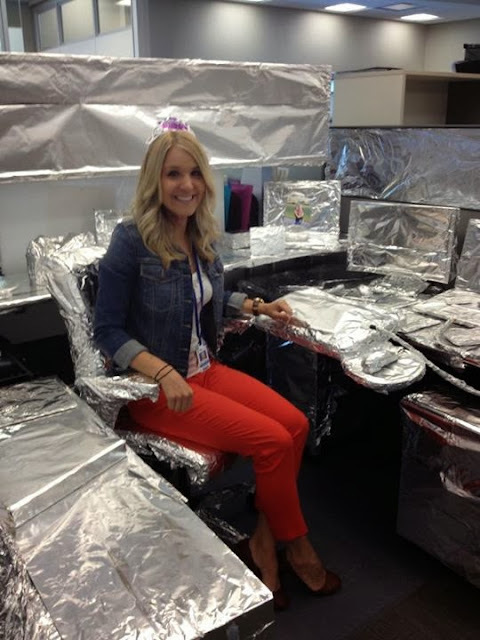 This prank is similar to the Plastic Wrap, however, it’s still a fun one all on it’s own. 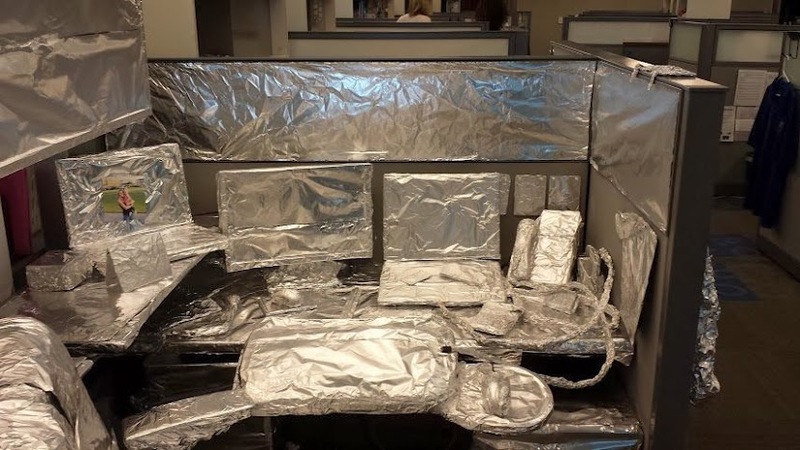 You will need a lot of aluminum foil for this one. 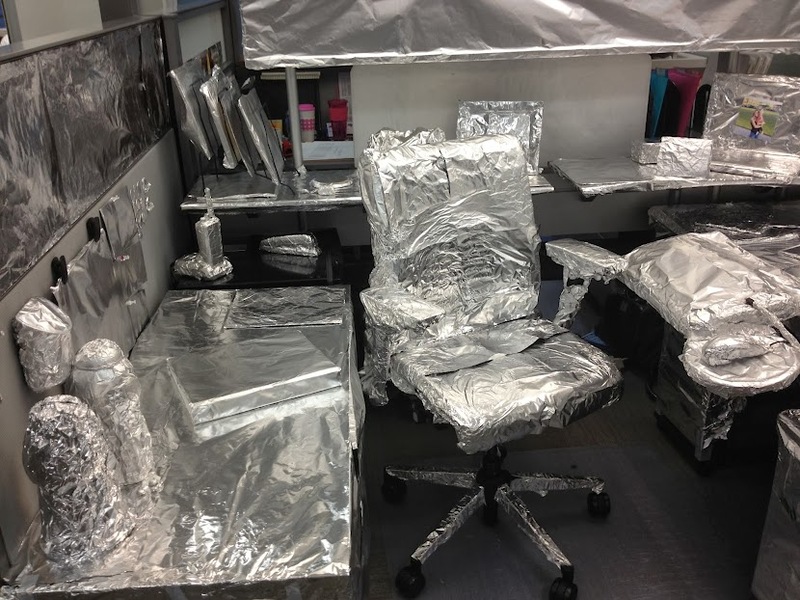 This pranks works best if you don’t move anything on the person’s desk before hand. If it’s sitting on the desk, wrap it up! Something hanging from the wall? Wrap that too! Be sure to read about the Plastic Wrap and the Cups!